People spend many hours every week at work, and what they do there, whether it is handling goods, using heavy equipment, or working at a computer all day, can have a major impact on the health their backs. Employers have a responsibility to look after their employees, but employees also have responsibilities to look after themselves too. What Will Your Employer Do? Employers have to carry out risk assessments of jobs and workplaces. Following these assessments, they have to make what are known as ‘reasonable’ changes to reduce the risk of injury and back pain for their employees (see ‘Back Pain: Information for Employers’). There are a number of things that employees can do to help any existing back pain and to prevent injuries leading to new cases of back pain. Employees should carefully follow any guidance and use any equipment provided by their management – doing this will help reduce existing back pain or prevent new back pain, and also help avoid any accidents. It will also help avoid putting any other employees at risk. For people involved in manual handling, it’s important to learn how to lift correctly, and to learn how to use manual handling equipment properly. Employees should learn how to make adjustments to their desks, chairs and any other equipment that will help the most with their comfort and posture (see ‘Setting Up Your Desk and Chair to Prevent Back Pain’). 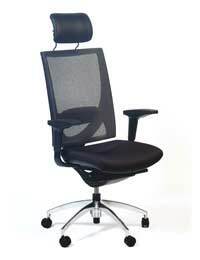 For people working at a desk, this could include adjusting the chair seat height and depth, the angle and height of the chair backrest, and the height of the chair arms (or removing them completely); using a footrest; and altering the height of the desk if possible. For computer users, the mouse and keyboard should be in easy reach and the screen should be at eye level – this avoids having to twist too much. Laptops should be plugged into a desktop keyboard and monitor if possible. Employees should try to break up the day (or shift) by working on different things that use different parts of the body where possible – this avoids putting too much strain on any one area. Employees should try to get up and move around every so often – at least every hour – to stretch the back and legs and rest the eyes. Breaks can also reduce stress, which can also cause or worsen back pain. If the organisation provides access to a gym, or to exercise or fitness classes, it is a good idea to take advantage, as the correct exercises can help prevent or treat back pain. It is important for employees to report any back pain to management and to a safety representative if there is one available, and to talk to a GP. It’s also worthwhile suggesting any changes to the working environment that could help people with existing back pain or prevent the development of new back pain. An occupation health expert may be able to help with any back pain.